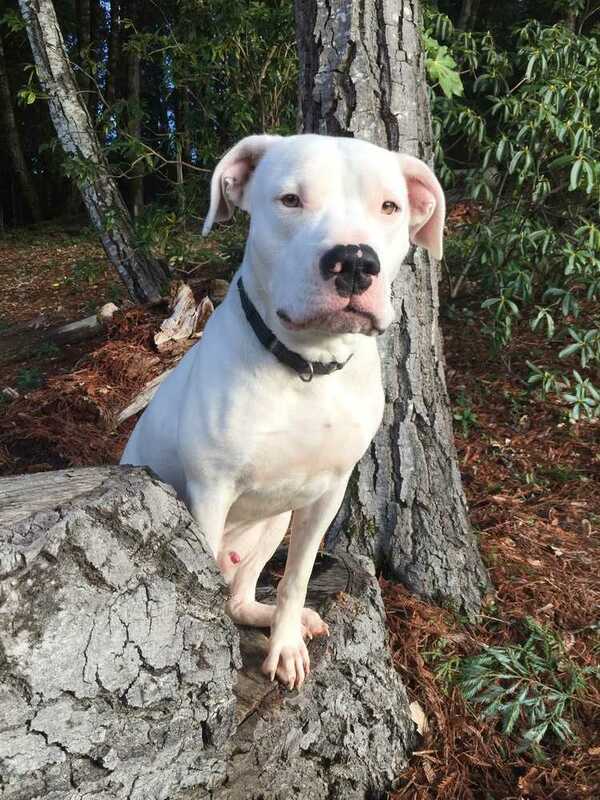 Currently living in Northern California, Boris is a young high energy gorgeous male dogo argentino looking for the perfect human!! He came to us from a family who no longer had the means to care for him. Boris is neat dog with a lot of love to give his person. He needs a very alpha owner who is willing to take on the challenge to continue work on his training. Currently he does not like other dogs and we are working on methods to correct this behavior so he can go out and about to ejoy the outdoors that he loves so much!! Boris needs an active owner who enjoys training their dogo and watching him progress. He is eager to please and has made lots of progress in learning about boundaries! He would make the perfect companion to someone who doesn't have other pets or children in the home. He really is a fabulous dog and with proper training and an alpha handler he will shine! The rescue does cover initial training for adopters because we feel this is of the utmost importance for dogos in new homes! If you are interested or have more questions please contact DC Dogos via email at paws@dcdogos.org or phone at 800-411-DOGO! !